Buy а life-long аdvertising for a real reasonable price and support our charity projects! Advertising can be a great success for the advertisers and a great fun for the viewers: the gigantic advertising space of One Million Pixel offers a unique combination of success and fun! Pay once and advertise for the lifetime! Become a part of it - until there are free pixels! 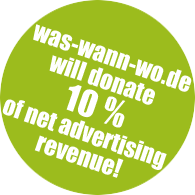 And meanwhile you will support our charity projects with your unique advertising at One Million Pixel!